MEMBERS OF THE Public Accounts Committee (PAC) have asked to view footage of more than 4,000 pigs being slaughtered. PAC is currently investigating the running of a special investigations unit at the Department of Agriculture. During a private meeting with the committee last week, a farmer alleged that he slaughtered more than 4,000 pigs in inhumane circumstances under the supervision of a department official. 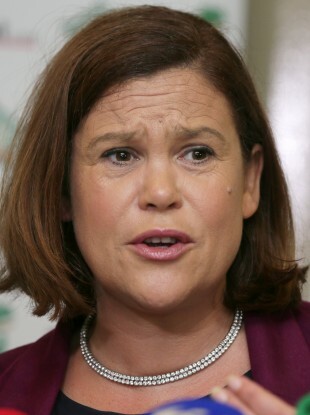 PAC member Mary Lou McDonald has said the claims are “extremely troubling” and “very, very worrying”. McDonald told TheJournal.ie she wasn’t aware the committee would have to watch the video. However, PAC chair John McGuinness confirmed to the Irish Independent the committee has sought access to the video. McDonald said PAC is investigating the use of public funds in legal cases taken by the department’s investigations unit against individual farmers. The Department of Agriculture had not responded to a request for comment at the time of publication. Email “This is why some TDs have to watch a video of thousands of pigs being slaughtered”. Feedback on “This is why some TDs have to watch a video of thousands of pigs being slaughtered”.